Leon restaurants are rightfully proud of their coffee. It's of high quality and tastes great, yet it is responsibly sourced and processed. 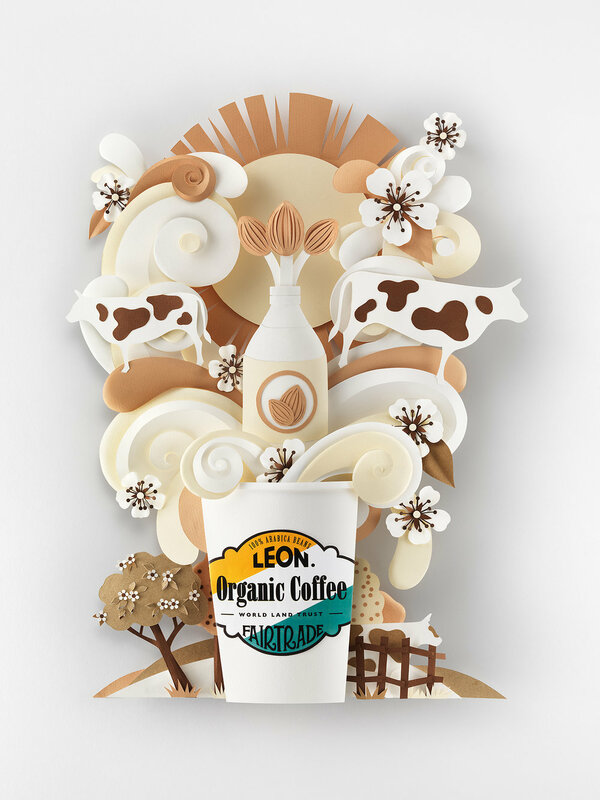 So Leon commissioned paper artist Helen Musselwhite to craft three pieces of paper art to communicate all that they are proud of about their coffee, and me to produce the images that would become the finished ads. Helen's work is all about shape, texture and detail. So it was my job to define those qualities while being careful not to distract from the artwork with jarring lighting. Shapely yet soft lighting is my speciality, so it was a good match. The team were all thrilled with the finished images, hopefully you can see why.